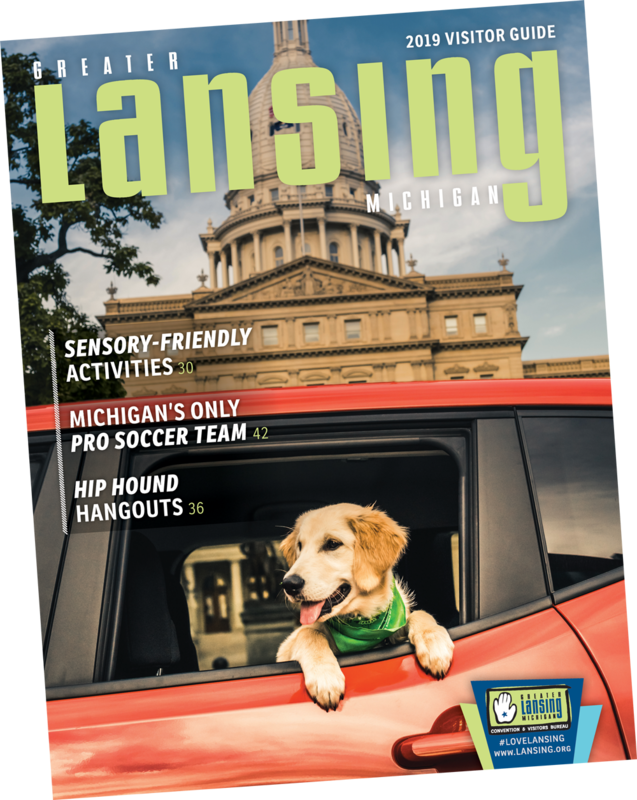 Now that you know a trip to Lansing is in your near future, it’s time to start thinking about how you’ll get around to seeing the city and its well-known landmarks. Since every visitor that comes to Lansing, Michigan is a priority, part of the Greater Lansing Convention and Visitors Bureau’s (GLCVB) mission is to provide quality resources for every guest and tourist, whether you’re from out-of-town, out-of-state or even from a different country, and that includes offering accessible, affordable and fun transportation options. While you’re here, you can navigate the city easily with help from the local bus routes, plenty of taxi cabs and even bikes and a trolley, so you’ll never miss a stop on your itinerary, whether it’s a Spartans game or one of Lansing’s one-of-a-kind events. To see as much of the city as possible, consider going on a tour with your friends and family. As you ride in the comfort of our premium transportation services, you can scope out the most interesting attractions and get an up-close view of everything Lansing has to offer. Treat yourself to an experience you’ll never forget by signing up for a tour. Places like Grand Limousine provide wine tours and even casino tours as you ride around in luxurious style. For something a little more adventurous, JoyRide Pedal Tours rents out 15-passenger bikes, so you can check out MSU hangouts, sample the city’s culinary goodness and view parks and local attractions. If you have a large group, consider chartering a bus to take you on a destination tour of Lansing’s best and brightest neighborhoods, where you’ll discover the city’s rich history, current trends and future developments. Some areas you might consider seeing are downtown Lansing, Old Town, Potter Park Zoo and Moore’s River Drive, just to name a few. With two bus companies to choose from: Dean Trailways of Michigan and Indian Trails, Inc., you’ll be able to secure a bus and get ready for an exciting day out surrounded by your family and friends. Depending on which tour you select and where you intend to go, there’ll be a wide range of prices available to suit your budget as well as plenty of dates and times to accommodate your busy schedule. You won’t want to pass up a single moment in Lansing. Before you visit, organize your must-see places and things-to-do list using our convenient Trip Planner. That way, you can be sure to stop at all the local hotspots on your tour of the city. If you have questions about transportation and tour options, contact the GLCVB to receive a warm welcome from one of our knowledgeable information specialists, who will help guide you through the planning process to create the trip of a lifetime.